Happy Monday! I hope you all enjoyed Resurrection Sunday! I certainly did. Well...I'm here with my very first project as a Paper Crafting World DT member. As I said last week, I've switched over and am now working with Melin on her new site. I surely hope you'll join us for our challenges. There are cool prizes up for grabs and we're trying to spread the word. So this week's challenge is flowers. You have to use them on your project. You can get her cute digis either at her store and/or by subscribing to her weekly newsletter. So sign up and get in on the fun. For my project, I used one of Melin's cute digis. Using my handy dandy Bic markers, chalk, Glossy Accents, flowers, buttons, and Stickles, I got busy creating this door hanger. I really hope you enjoy it as it was a lot of fun to create. 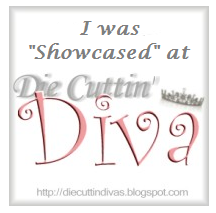 Thanks for viewing and head on over to see what my DT sisters created and join in on all the fun. Your door hanger is gorgeous!! Love the flowers! Have you thought of doing a video to show us "how to"? Awww this is so cute, such a wonderful project! Thanks for entering the challenge at Lexi's Creations this week, hope to see you at the next challenge! How creative! I love the door hanger. Thanks for joining us at Get Hippity with Ippity. Hi there.. just droppin in to say hi! !